The Calgary Flames - From 80 Feet Above: Janko and Benny: After a Three-Year Search, Has Bennett Found His Hockey Soulmate? Janko and Benny: After a Three-Year Search, Has Bennett Found His Hockey Soulmate? What makes a great buddy film is two characters that complement each other. They don't necessarily need to resemble each other or have similar characteristics -- and often they don't -- yet when you pair them up, it simply works. On the big screen, we saw that chemistry with Mel Gibson and Danny Glover in the Lethal Weapon movies. Will Smith and Martin Lawrence had it in the Bad Boys franchise. Most recently, we saw it with the partnership of Channing Tatum and Jonah Hill in 21 Jump Street. On the ice, the Calgary Flames have also boasted a couple of popular and highly effective forward duos in recent years. They too have become great buddies. 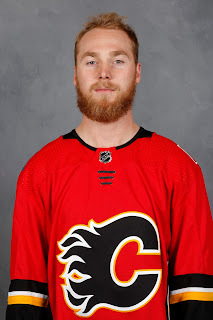 But the one guy and central figure upfront that has not enjoyed the luxury of having a steady, longtime partner to develop and evolve with has been Sam Bennett. For Bennett, the carousel of linemates has been spinning like a merry-go-round since he broke into the NHL in the 2015 post-season. In 2015-16, his most common even-strength linemates were Michael Frolik (37%) and Mikael Backlund (36%). But those two had each other and while it worked as a trio, the younger Bennett was the third wheel in that relationship. Bennett was the guy in the back seat of the station wagon. Last year, the search continued. Incoming coach Glen Gulutzan hoped to conjure up some magic by pairing up new free agent signing Troy Brouwer with Bennett in training camp and hoping the veteran and the kid would hit it off. Nor did it work much better with Kris Versteeg or Alex Chiasson, despite each getting long looks with Bennett. Spending most of his even-strength time last season with those three -- Versteeg (41%), Brouwer (40%), Chiasson (40%) -- Bennett's production as a sophomore fell from 18 goals and 36 points as a rookie to just 13 goals and 26 points. Bennett also spent some time last season with Gaudreau (20%) but again, he was spoken for already. 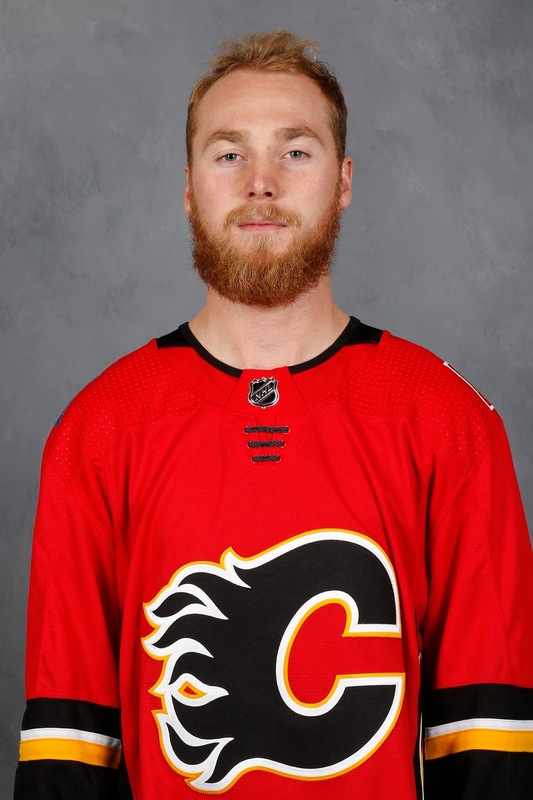 Micheal Ferland (12%), Matt Stajan (9%) and Lance Bouma (7%) also spent time alongside him but there was nothing dynamic to be found. No sparks in any of those relationships. But maybe, just maybe, Bennett has finally found his hockey soulmate in 6-foot-5, 210 pound Mark Jankowski. While still very much in the 'newlywed' phase of their time together, Jankowski (60%) represents the most stable relationship (proportionately) Bennett has been in yet. Don't forget that Jankowski was in the American Hockey League for the first three weeks of the season. Lately, that 60% has been darn close to 100%. Since his call-up and the subsequent falling of dominoes that eventually saw Bennett shift to left wing and Jankowski inserted at third-line centre, the two have been constantly found side by side on the ice. Jaromir Jagr (39%) has been Bennett's other most frequent even-strength linemate this season. Since returning from injury, he's been a fixture on the other wing. But getting back to the kids, could the Providence College grad and 2012 first rounder be the player that completes Bennett? We're a long way from knowing that for sure but based on their play much of the last month, there's plenty of reason to be hopeful if you're a fan, team management or Bennett himself. On Thursday at the Saddledome, Jankowski had two goals with Bennett assisting on both. Two nights earlier in the opening game of the homestand, the only Flames goal was scored by that same Jankowski-Bennett line. Of course, don't forget the last game of the previous homestand. On that electric night in which Calgary won 7-4 over St. Louis, Jankowski had two goals and an assist and Bennett had his first goal of the season in a two-point night. So between the two of them, that's 10 combined points (Jankowski, 4-1-5, Bennett, 1-4-5) in the last three home games. Doing it in front of the home crowd, now that's how you become fan favourites. In the middle was that six-game road trip in which the trio got skunked, but the silver lining over those 12 days was they were still generating chances. Over those six games, the trio of Bennett, Jankowski and Jagr combined for 31 shots on goal and 53 shot attempts. There were a few pucks off the iron as well. "Our line was playing well, we were creating chances throughout the road trip," Jankowski said. "I've always said, when the chances stop, that's when you've got to worry. I thought we were getting the chances and the goals will come if you stick with it." Thursday was a game that the club hopes will be the springboard. Jankowski with the two goals on six shots, Jagr with four shots and a helper. Bennett chipped in two assists, had two shots and earned heaps of praise from the head coach. It added up to a dozen shots and a great all-round performance. Gulutzan noted that Bennett is playing some of the best hockey of his career in terms of creating chances. "All the analytics we do with Sam, it was the second best segment as a Flame," Gulutzan said on Thursday. "These last 10 games as far as what he created and how many chances he had, it's just a matter of time when that happens." We know the raw skill Bennett has -- he went fourth overall in the 2014 NHL Draft for a reason. He lit up the OHL when he was in junior and as a teenager, he scored 18 goals as a rookie in the NHL. But there have been plenty of bumps in the road and to this point, he is still sitting at just one goal in 25 games this season. But the coach thinks it's coming and Bennett does too. "I've started to feel better, our line has been generating quite a few chances," said Bennett. "I know that if the chances are coming, then eventually the production is going to come. So I'm just going to keep playing like I'm playing." The trio will get a chance to keep it going on Saturday night against Edmonton. With Cam Talbot injured, they'll be shooting on back-up goaltender Laurent Brossoit, who will enter the game with an .876 save percentage. "The more we play together, the more comfortable we're going to get and the more we're going to build that chemistry," Bennett added. "It felt really good (Thursday) together and I think we can keep building off a game like that." What's especially appealing about the combination of Jankowski and Bennett is these are two young guys who are still very much finding their way in the NHL. This has the potential to be a combination that can remain together for a long, long time and really blossom. It's only the third season for Bennett, who we tend to forget only turned 21 in June. 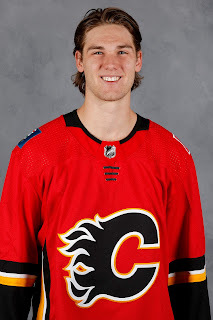 Jankowski is not that much older, having turned 23 in September. These are two guys with bright futures and who knows, it might very well be with each other. You get the sense Bennett wouldn't mind that. "He's got unbelievable skill," said Bennett, when asked about his centre. "As he plays more games in this league, he's getting more and more comfortable and you can see it. He's really starting to find his game and it's a lot of fun to play with him right now. "Every game, he's gotten better and better. Now he's starting to take pucks to the net and it's starting to work for him." Having the NHL's second-leading point getter of all-time on the other wing doesn't hurt either. Jagr, 45, has been a nice chaperone for the other two. "That line, and you can see with the chances and how they're getting rewarded, they're building their confidence and that's going to be big for our club," Gulutzan said. For 13 and 23, they're not only linemates at 5-on-5, they play on the power play together too. They've got plenty in common. For 11 and 67, there's a bit of power play time in there but where they're rarely found apart is on the penalty kill. Together, that's one of their things. As Bennett and Jankowski mature, their resumes grow and Gulutzan gains more and more trust in both of them, you can envision a similar future for 77 and 93 too. That could include both power play and penalty killing as both have done that in the past. It may not be this year, but down the road. Could Janko and Benny be the new Johnny and Mony? Could they be the new Backs and Fro? It would sure make Calgary a far more formidable club if they have, indeed, finally found the right combination of ingredients to generate consistent third line production. If that's the case, look out. "That top line has been unbelievable for us, it's definitely nice to contribute offensively and we know that we have to do that to have success down the road," Bennett said. Bennett and Jankowski. Perhaps Calgary's next lethal weapon. I love your articles. Always a fresh take compared to other sites. What are your thoughts on (a) Frolik looking a little slower this year and (b)Backlund's contract? Jagr is the NHL's second all-time leading point getter, not third. There will come a time when I don't get the third-in-goals and second-in-points flip-flopped, but apparently we are not at that time yet. Thanks for the note. Cheers. Good article. Always nice to see a player like Bennett be on the verge of something special. Brings a tear to my eye to follow the career of Janko and Benzo. The Django song is a little offensive as it highlights the missteps of human history.